We couldn’t think of a better way to pay homage to the greatest pairing in the world, Brett and Barrels, than to make the most METAL microbe shirt in the world. 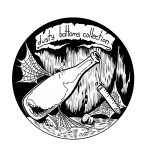 This exquisitely hand-drawn illustration vividly portrays the might of our Funk Weapon Brett cultures powerfully striking a large wooden foudre…imbuing it with the awesome power of FUNK. We weaponized funk, now it’s your turn. 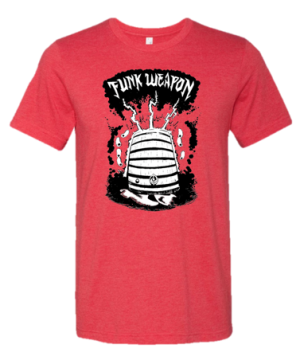 Wear a killer FUNK WEAPON Tee, and walk the world with the brutal confidence of someone who obviously knows the secrets to the beer universe. 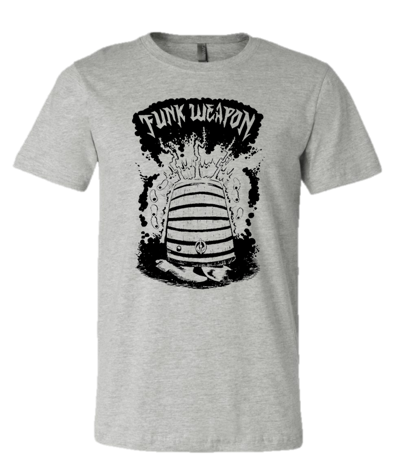 This ultra SOFT & COMFY Unisex T-Shirt comes in two colors: Red Heather and Athletic Heather (light gray). Heads up, sizes run a little on the small side.